California Arbor Week Tour – The Britton Fund, Inc. The objective of the CA Arbor Week Tour project was simply to celebrate the trees of California, specifically in the Sacramento/Bay Area, and to educate the public on the value of arboriculture. 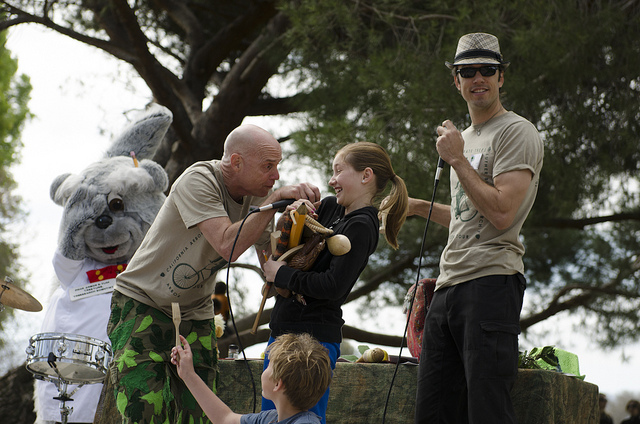 A 10 day tour of engaging TreeCircus shows and Arbor Day celebrations were planned and fully executed. Through partnerships with Western Chapter ISA, California ReLeaf, Sacramento Tree Foundation, Canopy, and the Luther Burbank Home and Experimental Farm, Californians across our 11 city tour were inspired by and reacquainted with the Urban Forest in which they live. Ask the Arborist displays were set up at each event, netting 47 hours volunteered by certified arborists. Utilizing “Invest from the Ground Up” displays courtesy of The Britton Fund, Western Chapter ISA arborists were equipped with literature about the benefits of trees, why hire an arborist, sudden oak death, and more. A Consulting Work Day was held on March 7th, in which volunteer consulting arborists provided sound arboricultural advice to State Capitol Lawn manager Mike Nielson. The Capitol has no certified arborists on staff and a citrus grove that needed extra attention – our consultants provided direction and outlined a plan to revitalize the grove. The TreeCircus put on 16 shows total, 9 of which were for school children, and 7 of which were at public Arbor Day celebrations. 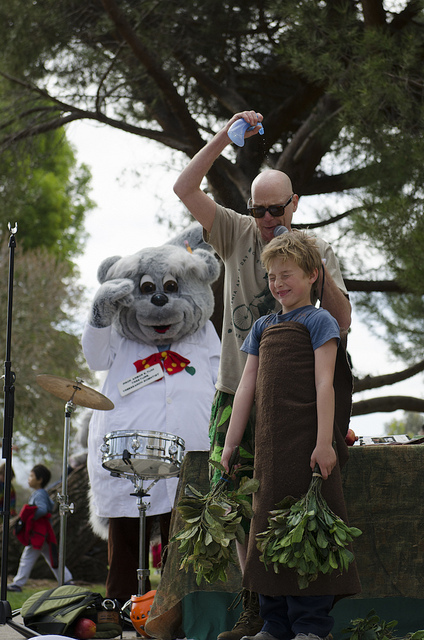 Professor Arbor E. Tum (a squirrel “treesearch scientist”) inspired both young and old, and played in nicely to Timmy Womick and Chad Brey’s high energy performance style. During their performances, TreeCircus dropped tidbits of biology to show how trees filter urban particulate pollution and bits of mathematics concerning the percentages of folks living in the urban forests of our megacities. They helped students gain a sense of the importance of their canopy’s shade on dropping the temperature around us. Throughout the hour-long program, participants learned about trees, the value of trees, why we should plant more of them, and even learned how to climb them like a pro at certain locations. Those who suddenly find themselves a part of the TreeCircus and in front of the audience generally blossomed in their own right. Student participation is what it was all about. The TreeCircus paid special tribute to Luther Burbank on the tour. Burbank, whose turn of the century farm experiments changed the food we eat, is the only person to have a state’s Arbor Day celebrated on his birthday. Mr. Burbank on a bicycle became the event centerpiece, prompting questions from the public and sparking a conversation about this patron saint of California Arbor Day. We are looking forward to recreating this event in Southern California for 2013. Interested organizations and cities should contact mary@thebrittonfund.org for information on the application process. Funding for this event was provided by a CalFire Urban Forestry grant. Pictured above is the Arbor Week Tour team with State Urban Forester, John Melvin. Thanks for your support, John!